This is an updated version of the Mah-Jong game, which fixes a few bugs & improves the computer AI. There are two installers available - one for Windows (an executable) and one (an executable jar file) for any OS supporting java 6 - which should include Linux & Mac. Java 6 (or above) is required - this can be obtained from http://java.sun.com/javase/downloads/index.jsp if you do not have it already. 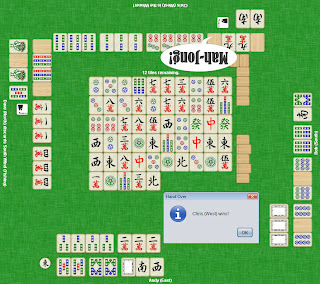 This is a cross-platform (java) version of the classic chinese game Mah-Jong - it is not the solitaire tile-matching game. 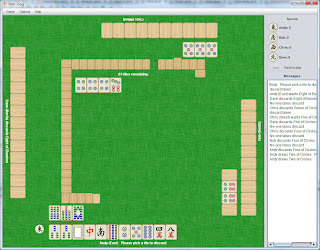 The game is for 1 human player vs 3 AI players, is based on the British & Chinese versions, supports all the standard Special Hands, and has many configuration options to make the game play how you like it. This is a site for free games I've written - some in J2ME for the LG Cookie (KP500) Mobile Phone. 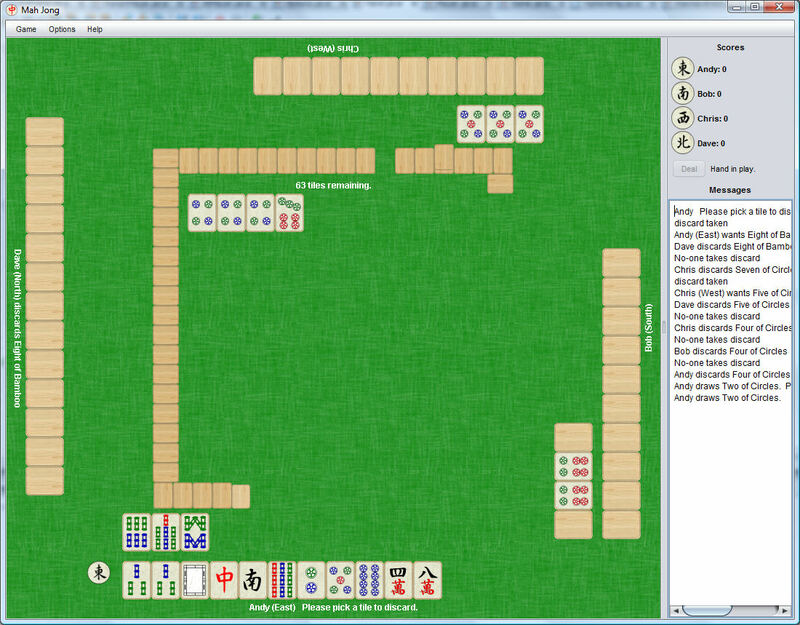 Although the J2ME games designed for the Cookie, they're likely to work on any touch-screen Java-enabled phone. If you like any of the games, feel free to donate a small amount of money to encourage development of further free games. Any downloads are for personal use only. Kindly do not copy, modify, distribute or sell the whole or parts of this file without permission of the creator. This software is provided by the copyright holder "as is" with no warranties of any kind, whether express of implied. In no event will the copyright owners be liable for any type of damaages, however caused. Use at your own risk.